← So what’s for dinner? Math does not come naturally to me. How did I get through calculus? I memorized my way out of it…the different question types…and predicted which ones would be on the exams. 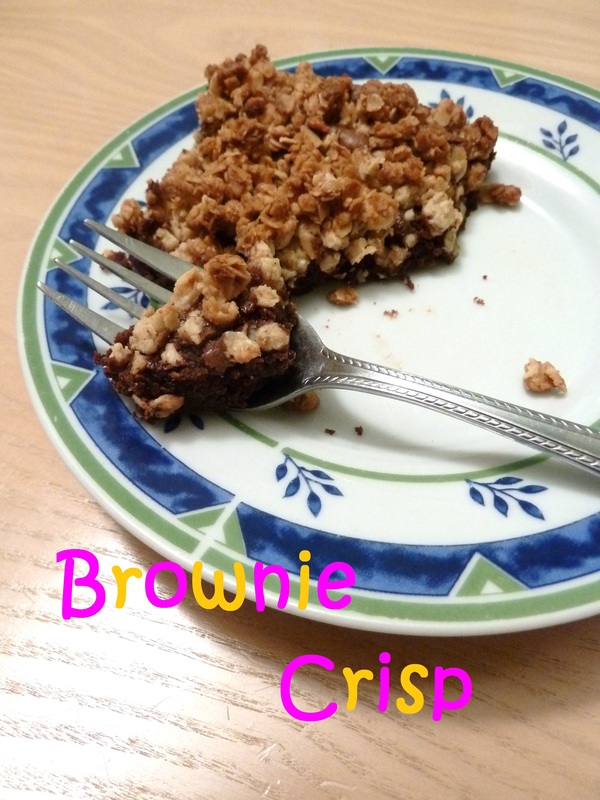 Unlike the equation above, the answer of which is…brownie crisp! 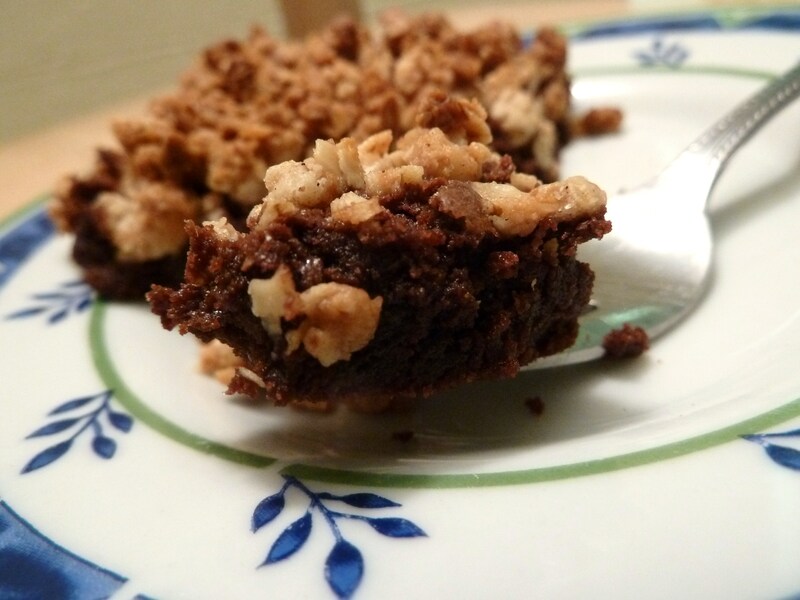 If you make peach crisp in August, apple crisp in November, then naturally you would make brownie crisp in February. 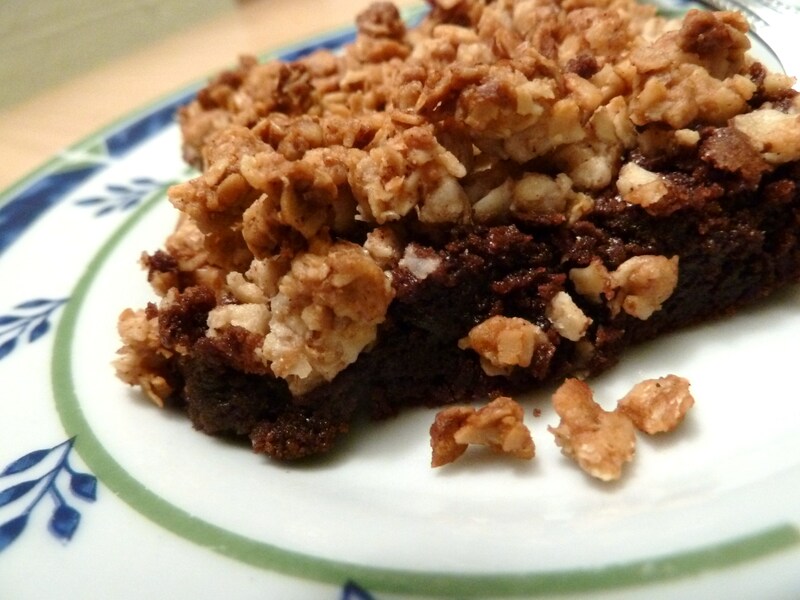 The honey in the oatmeal topping cuts through the chocolatey-ness like a ray of warmth and I think you would enjoy the textural contrast between the tender/gooey brownie and the crisp/crunchy topping also. 3. To prepare the brownie, melt butter and chocolate together in a double broiler or a bowl over a pot of simmering water. 4. Add the sugar, egg, and vanilla. Beat until smooth. 5. Add the cocoa powder, flour, and salt. Stir until blended. 6. Pour the brownie mixture into a greased 9 inch square pan. Sprinkle the oatmeal mixture on top. 7. 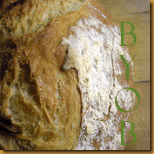 Bake for about 25 minutes, or until the topping is golden brown. Two of my most favorite things have collided, oh thank you so much, I can’t wait to try!